Fiction Historical | Write @ You! Lynnette Philipps, author of the popular book reivew blog, Avid Reader Book Reviews, has invited me to guest blog this Tuesday about the story behind the creation of my newest fictional work, The Last Way Station: Hitler’s Final Journey. This historical fantasy narrative explores a topic that has been on millions of peoples’ minds after the recent death of Osama bin Laden. Namely, it asks: Can there ever be fitting punishment for the ‘super evil,’ and, if so, what form might that punishment take? Visit this Tuesday to find out — and to join in the discussion. You might even be rewarded with a Free, advance review copy of the ebook! 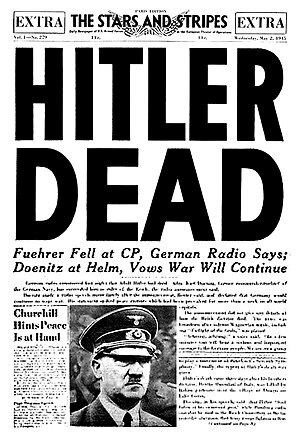 The Last Way Station: Hitler's Final Journey,begins moments after Hitler commits suicide in his Berlin bunker, when he finds himself transported to a numbingly cold holding cell in the hereafter. It asks the question: Can there ever be fitting punishment for the super evil? My other book, The Reform Artists, reveals the dark side of modern-day American divorce, where one spouse's false and misleading accusations can quickly ruin the life of the other. But, in this case, a powerful and resourceful underground group steps in, determined to see that justice is done. You'll find both books at Amazon.com. 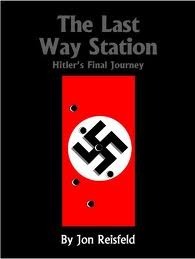 The Last Way Station: Hitler's Final Journey is also available for sale at Smashwords.com, and The Reform Artists is in the catalog at Google eBooks. Learn how you can get a FREE copy of The Last Way Station by visiting this site's Reviewers page. What do you think of these previews? Tell me by leaving a Comment on this page. Giveaway ends March 15, 2012. Play Games at Freado & Win Prizes! Enter your email address and we'll notify you, by email, each time we publish a new "Write@You!" post. Writers Retreat Vermont’s Ultimate Writers Retreat and My New Home! Avid Reader Book Reviews by Lynnette Phillips A popular book review site with an interest in Indie authors/publishers. Project Gutenberg A treasure trove of free, public domain ebooks. Washington's Blog A great blog about the political and economic issues of the day that all “thinking” people should read. © Jonathan S. Reisfeld and Write @ You!, 2011. Unauthorized use and/or duplication of this material without express and written permission from this blog’s author and/or owner is strictly prohibited. Excerpts and links may be used, provided that full and clear credit is given to Jon Reisfeld and Write @ You! with appropriate and specific direction to the original content.